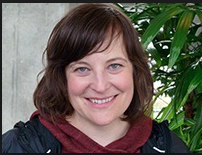 After reviewing fifty-three applications and interviewing six applicants, the Shoreline City Council appointed Betsy Robertson to Council Position #6 on January 28. Robertson was sworn into office immediately following the appointment. Robertson’s appointment will expire upon the certification of the 2019 general election results in November 2019, as the position will subsequently be filled in the 2019 election cycle. Robertson fills the position vacated by former Deputy Mayor Jesse Salomon who resigned from his City Council position after being elected in November 2019 to represent the 32nd District in the Washington State Senate. Councilmember Robertson has been a resident of Shoreline for twelve years. She received a bachelor in arts in communications from the University of Washington. Robertson has spent much of her career in local television broadcasting, including seven years as the Director of Communications and Marketing at KING 5. She is currently the Communications Program Manager for the American Red Cross Northwest Region. Robertson has been a member of Parks, Recreation and Cultural Services/Tree Board since 2013 and is an active member of the Ridgecrest Elementary School PTA. Following the swearing in of Councilmember Robertson, Council selected Councilmember Doris McConnell as Deputy Mayor. She will serve until January 2020. Deputy Mayor McConnell was first elected to the City Council in 2007 and was re-elected in 2011 and 2015. Her current term expires December 31, 2019. McConnell has been part of the Shoreline community for over 24 years. She received her bachelors of science degree in psychology from Washington State University. She served for many years on the Shoreline PTA Council in a variety of capacities including president, secretary, treasurer and vice president at both the individual school and district level. McConnell has also served on numerous Shoreline School District advisory boards and is an active Richmond Beach Community Association volunteer. 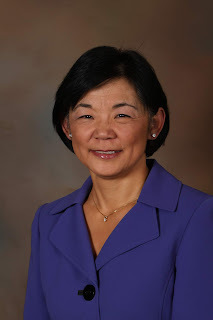 As a City Councilmember, she has served and continues to serve locally on the Regional Water Quality Committee, Domestic Violence Initiative and Seashore Transportation Forum as well as nationally on the Human Development Steering Committee and on the APAMO (Asian Pacific American Municipal Officials) board.